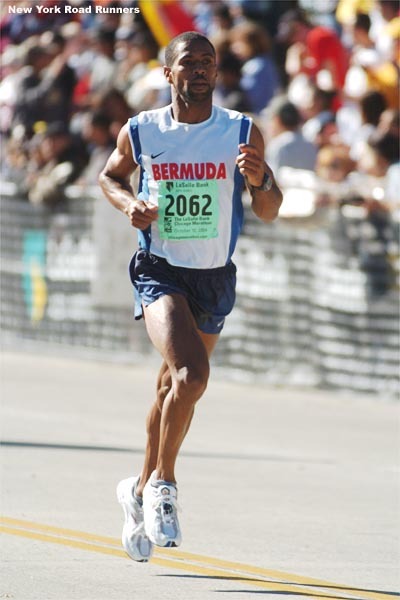 Dubbed “Bermuda’s Road King”, Kavin Smith is a prolific runner who dominated the local scene for many years. He was awarded the Bermuda Government Sports Achievement Award in 1992, 1995, and 1998. With victories in the 2003, 2002, 2001, 2000, 1999, 1998, 1997, 1996, 1995, 1994 and 1993 races, Mr. Smith holds an unrivaled nine May 24th marathon titles. With too many victories in other local races to even count, he has also represented Bermuda in international competitions including the CAC Games, Carifta Games and the IAAF World Championships. 2009 NACAC Cross Country Championships, Florida.